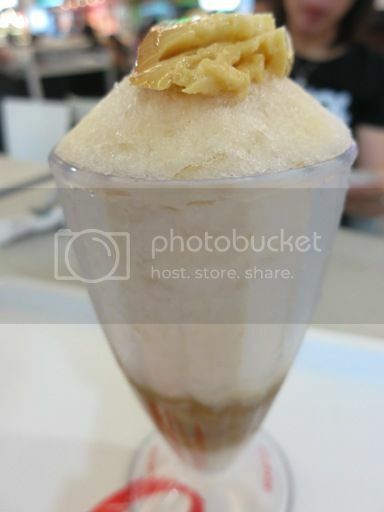 Who hasn’t heard of Pampanga’s famous halo-halo from Razon’s of Guagua? The first time I’ve had Razon’s Halo-Halo, which was a few years ago, I couldn’t help but rave about it. Less is more: that was my conclusion after I’ve finished my tall glass of this very popular halo-halo. What do I mean by that? Well, I’ve tried different kinds of halo-halo from different establishments in the past, and most of them tried to outdo each other in terms of the number of ingredients in their halo-halo, but Razon’s Halo-Halo only has five ingredients: finely shaved ice, leche flan, milk, sweet macapuno and bananas. Those alone are enough to titillate your taste buds. Those alone are enough to titillate your taste buds. The finely shaved ice of Razon’s Halo-Halo melts in the mouth, and the combination of the sweet macapuno and bananas, the creamy milk and the perfectly made leche flan is just heaven! If you’re like me who likes delicious halo-halo minus the beans, then you must try Razon’s Halo-Halo. I swear, you’ll love it! This entry was posted in Pampanga's Famous Halo-Halo, Razon's Halo-Halo, Razon's of Guagua. Bookmark the permalink. I really love this Halo-halo but I haven’t had it for some time. Maybe your post is a reminder for me to visit. True. Less is more and you don’t need anything else if the taste is that delicious. I love Razon’s even their palabok is so simple yet delish. I love Razon’s halo halo, simple lang pero sobrang creamy. I suddenly miss Razon’s Halo-halo..